Dubai, one of the most entertaining cities in the world, doesn’t require a piece of introduction to anyone. This beautiful city of UAE houses plenty of attractions and all you need to do is just pick up a category and you will get the entire options to explore on your visit to Dubai. In simple words, the city has everything to offer its all kinds of guests whether you talk about magnificent Aquariums, Underground zoo, water park, shopping malls, high rise buildings, nightlife scenes, luxury hotels, etc. It’s very true and valid to say that Dubai never stops growing and is on a full swing in adding some more attractions and futuristic towers in the list of sightseeing destinations and tourist attractions in Dubai. If you want to explore the real gems of modern architecture works then do plan your visit to this beautiful city. This article presents you with some of the most happening and the most visited tourist places in Dubai. 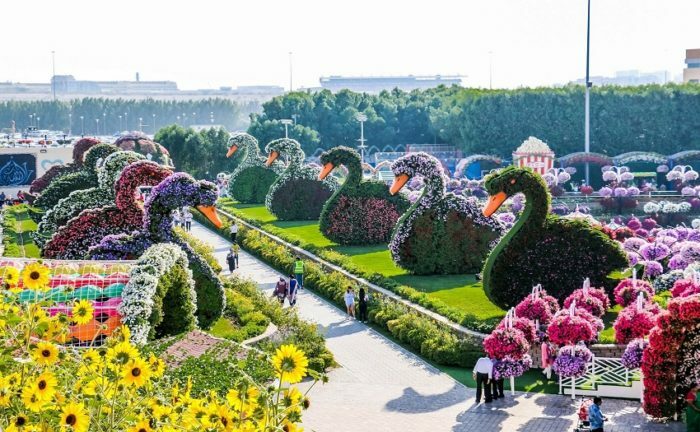 The most peculiar garden in the world whose beauty even gives the tingling sensation to its regular visitors too and is one of the most happening and visited places in Dubai. This beautiful garden is reckoned as the largest flower garden in the world which houses around 109 million varieties of flowers. The most loved place of the adventure lovers where the effervescence of the blossoming flowers offers a mesmerizing visual treat to the tourists. Famous as the tallest building in the world, BurjKhalifa is standing tall at around 828 meters above the ground. It is a 124 storied man-made building which requires no introduction in the world. This glorious building is called as the real jewel of Dubai and is also counted as one of the most prominent attractions not only in the city but also in the entire world. Gazing down at the luminous fountains, skyscrapers, surrounding buildings, and the canals established around the base of the building gives an unforgettable experience to its guests. Also known as Al Fahidi Historic District or Al Bastakia, Bastakiya is an ancient and a traditional town of the city. This old town of Dubai is situated alongside Dubai Creek and Al Fahidi Fort and is also considered as a perfect place where you can enjoy a heritage walk tour along with exploring some other beautiful sightseeing destinations of the city. The most ideal place for culture lovers where one can explore some amazing architectural wonders of the city. An awe-inspiring attraction of Dubai located inside the Dubai Mall which is quite popular among tourists and natives for its wide varieties of marine species. It is reckoned as the world’s largest aquarium having 140 different varieties of aquatic species but you can witness only a few of them if you walk inside the tunnel and if you feel little adventurous then try for shark diving or cage snorkeling activities and feel a better experience. 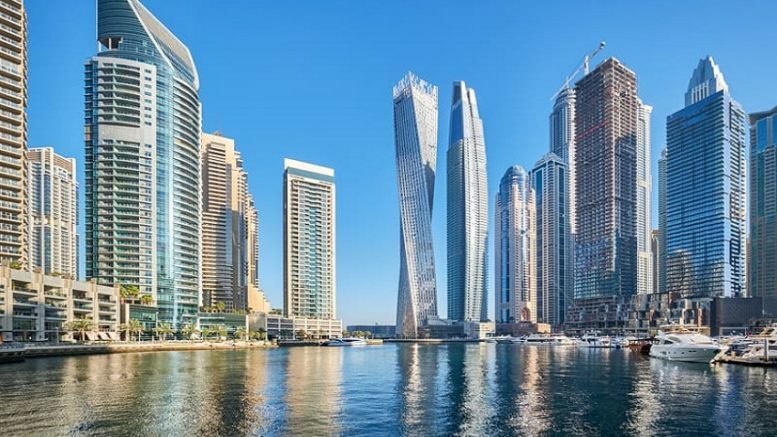 It is known to everyone these days that Dubai has been emerging out as the most happening and sought destinations in the world where people are hovering in great numbers. Dubai Marina which is the best-settled cutting edge districts in the city is a must visit place if you are visiting this exotic city. It is counted as the world’s largest man-made marina which is popular for its top-notch eateries, beautiful buildings, and outside diversion. If you are on a group tour either with your family or friends then this is the most ideal place to spend some quality time with them. The nightlife scene of the Global Village offers an exciting ambiance with the colorful decorative bulbs lit up the entire village. The cultural attractions offered by different pavilions of various countries including Egypt, Oman, China, Africa, Pakistan, Iran, and India. You can buy some of the best fine arts, clothing, antiquities, and many more things along with delicious cuisines. A very popular tourist destination which must not be missed out if you are in Dubai, Dubai Opera welcomes its guests with some soul soothing and entertaining music. Comedy nights, opera shows, concerts, ballet, and even music played by classical instruments amuse each of its tourists and give them a different and special experience. This entertainment place holds a capacity of 2000 cultural connoisseurs. The best part of this opera is you can visit the place all throughout the year and you will get the same level of entertainment which you can enjoy along with the eateries available rooftop. In Dubai, you can find a blend of nationalities and so the mix of pilgrimages of different religions. All of them are designed beautifully and are very popular but the Grand Mosque is the most popular destination in this city called dreamland. This amazing architectural marvel is counted as the largest mosque in the country and it also ranks eighth in the world list. The architecture looks more stunning at night when the entire mosque lit up with royal blue light. People who live or work in the Middle East want to get rid of the boiling hot weather during the summer season and want to escape away from the sweltering heat in the region and one of the best options to do so is to visit Wild Wadi Amusement Park. The park offers a unique experience to all its tourists as it boasts numerous innovative rides for all age people. This admiring amusement park is famous for offering some of the wildest, best selection, and the most exhilarating rides of the country. One of the most favourite and a one-stop beach destination in the world, Jumeirah Beach offers some amazing beach facilities including a great stretch of sun loungers and various restaurants. One can enjoy a variety of water-sport activities at the beach like jet-skiing, paragliding, water skiing, and surfing. You can also find a wide variety of exclusive hotels and spa resorts established near the beach. Be the first to comment on "Top 10 Places To Visit In Dubai"